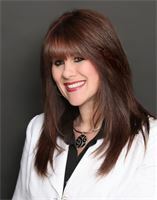 Lisa Tenneson Licensed Broker/Owner since 2010. Lisa brings with her a strong presence from New Jersey where she was born and raised and also Downstate where she stayed with family for her summers until she relocated to Middleburgh NY in 2007. "I LOVE WHERE I LIVE AND WANT TO SHARE IT WITH EVERYONE". The upstate area of NY is one of the most magical places on earth. Because of her connections Lisa services a wide area of NY customer satisfaction is the number 1 goal. Honest, Hardworking, fun loving and driven are just a few of the attributes that her clients say she has. If your looking to buy or sell in N.Y. she is Happy to help. Lisa has 25 years of customer service experience and it shows. Relationships are the key you may come in as a client but you will walk out a friend.